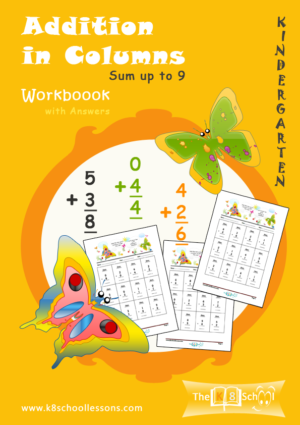 One-digit and two-digit addition practice workbook with the Ladybird Theme for year 1 and 2 kids. 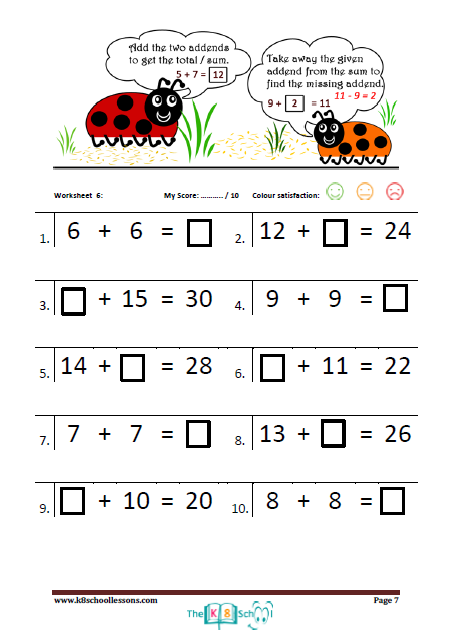 Practise different types of one- digit and two-digit addition by adding the given addends. 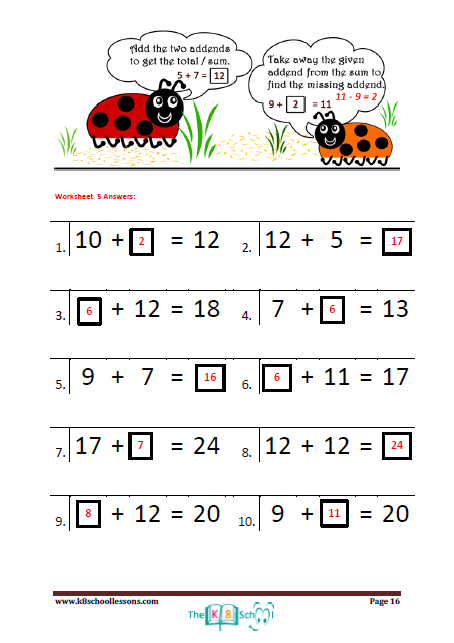 Also, learn how to find the missing addend by taking away the given addend from the sum. 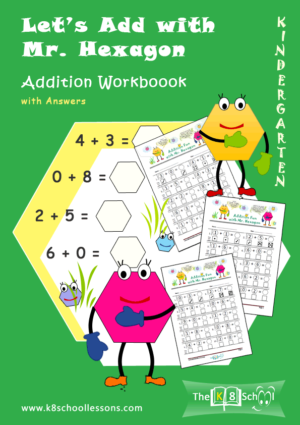 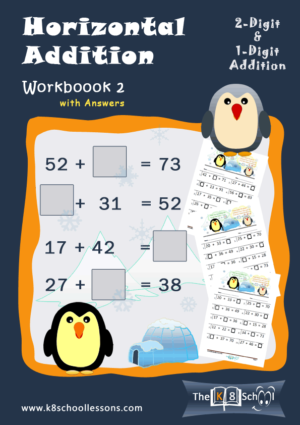 Downloadable Horizontal Addition Workbook 1. 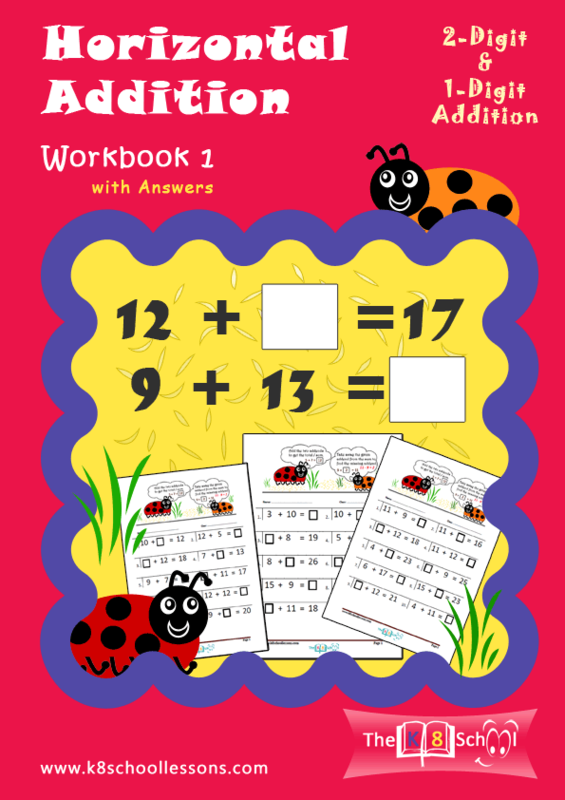 One-digit and two-digit addition practice workbook with the Ladybird Theme for year 1 and 2 kids. 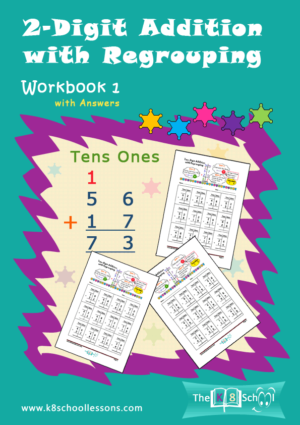 Practise different types of one- digit and two-digit addition by adding the given addends. 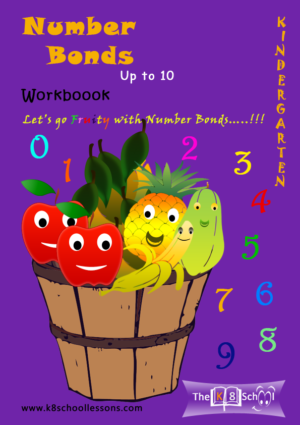 Also, learn how to find the missing addend by taking away the given addend from the sum.